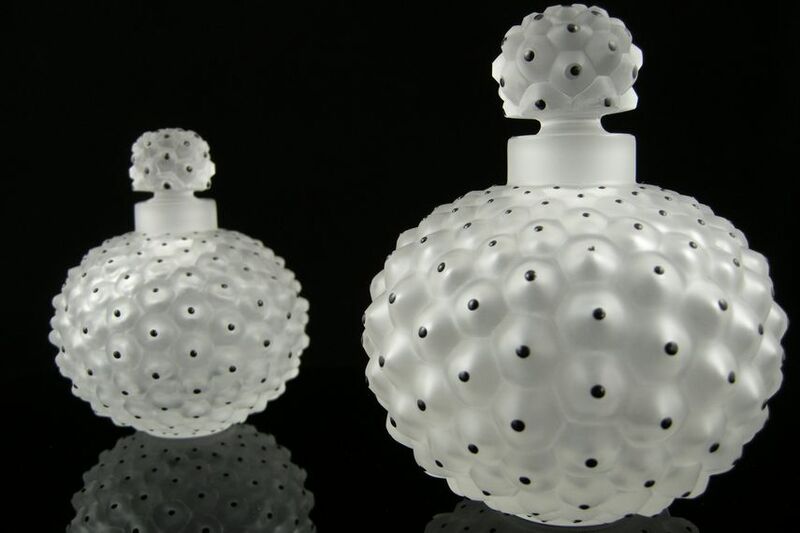 The fascination with transparency led Rene Jules Lalique on becoming perhaps one of the most prominent and prolific artists specialized in jewelry and glass. His practice was bounded in hard work, precision and employment of high aesthetic standards. 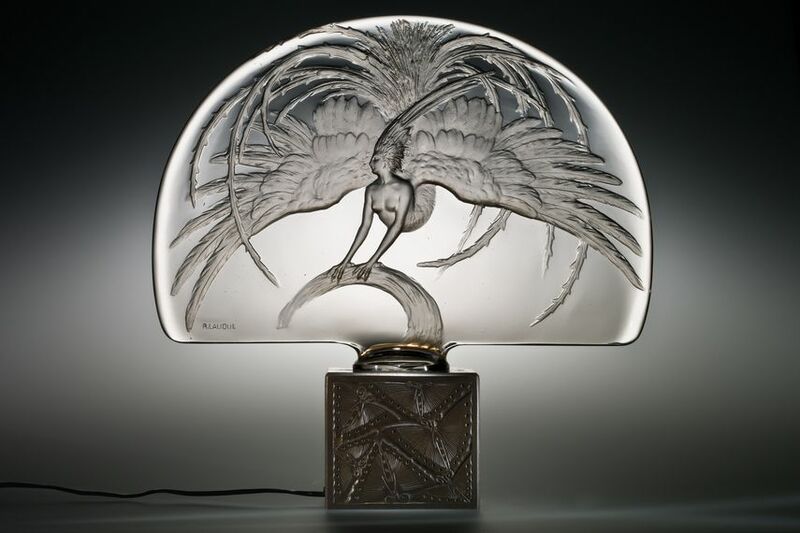 The innovation Lalique introduced mirrored the shift in regards to technology from manual labor to mass production. The artist’s vision surpassed the very notion of a beautiful object since the works he produced often transcended to being perceived as optical experiments. 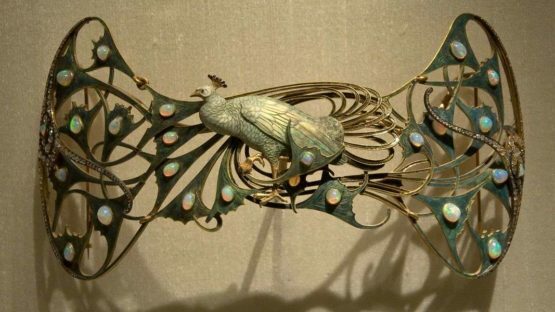 After the return to France, Lalique designed pieces of jewelry for already successful firms like Cartier or Boucheron, and in 1885 opened his own store specialized not only in jewelry but other glass pieces as well. The artist was quickly recognized as one of the most prominent Franch Art Nouveau jewelry designers due to commissions for celebrated shops. 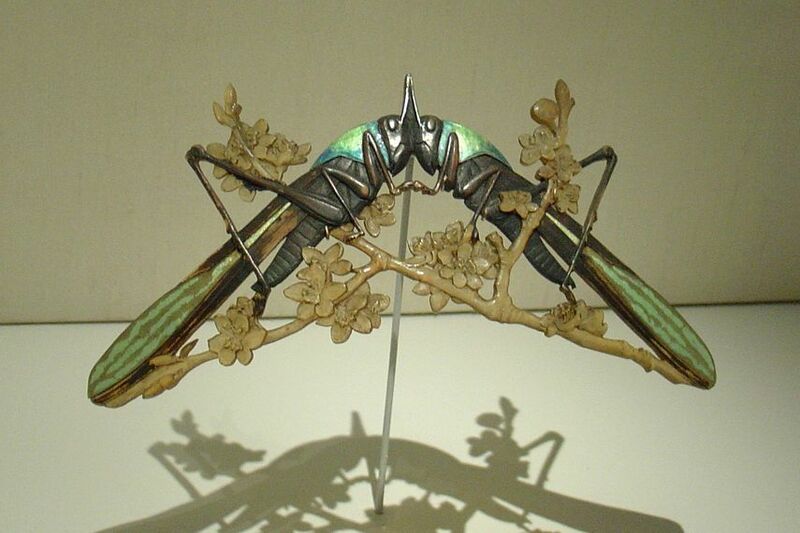 His early works were deeply inspired by the French countryside, but Japanese natural world as well. The choice of materials like pearls, horn, enamel and ivory he combined with glass and precious stones, which was uncommon at the time. Besides being a notable and fashionable jewelry figure, Lalique became known for creations in glass. From Art Nouveau tendencies, gradually the artist moved to Art Deco style. By the 20’s his production spanned largely, so he employed up to several hundred workers at one time, and brought art into the lives of ordinary people thru both useful and decorative glass creations. The process of production extended to post activities including enameling, patinating or frosting all of that in order to create even more unique and desirable objects. The artist was very much inclined with the idea of the Gesamtkunstwerk, or total work of art. This concept was reflected in most Art Nouveau interiors and even was somehow present even in his later works. With the same focus he produced perfume bottles, vases, jewelry, chandeliers, clocks and automobile hood ornaments. The immense creativity, high level of skillfulness and outstanding capacity to obtain his work appealing to both art circles and the market, made Rene Jules Lalique an authentic designer phenomenon. 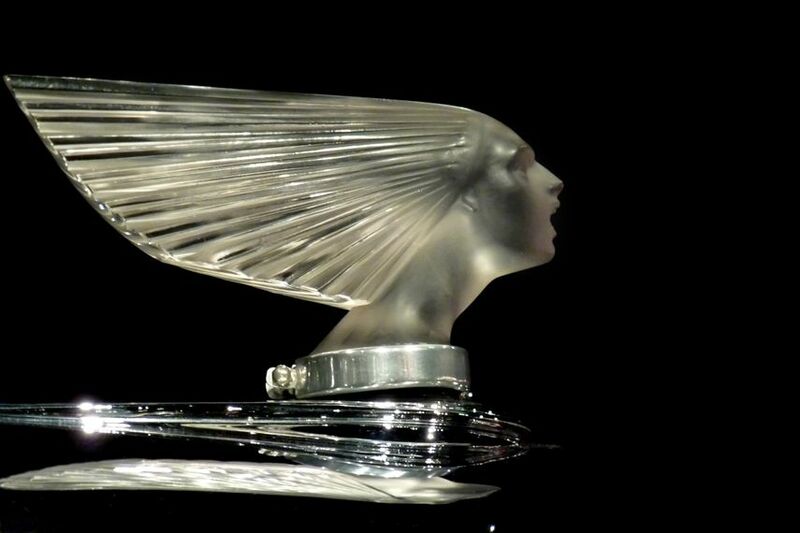 Rene Julius Lalique passed away in 1945, in Paris.